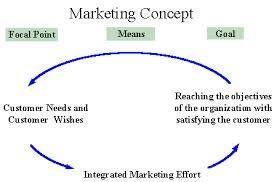 General objective of this assignment is to analysis Marketing Concept of Unilever Bangladesh. Marketing Concept would be the management philosophy as outlined by which a firm’s goals is usually best achieved as a result of identification and satisfaction in the customers’ stated and unstated needs and wants. Unilever is probably the world’s leading suppliers of moving consumer goods across foods, home and personal product classes. Unilever’s portfolio includes a number of the world’s best known and most loved brands. A lot more than 40 years Unilever Bangladesh Company in our country. Over 10, 000 employees will work in this company. In Whole planet Unilever Company rank position under top. This company often has given facility to all or any workers.